With high-quality machinery, including mini bobcats for limited access sites, and skilled and ticketed operators, Dee Gees Bobcats provides professional stump removal services for all homeowners, builders, tradespeople, business owners and councils across Brisbane and Ipswich. We remove all tree stumps of any species and size, including palm tree clumps, and will remove all waste from the site once done. If you’re working on a large project, we also provide site clearing services with our bobcats, tip trucks and mini tippers. Why choose Dee Gees Bobcats for stump removal services? Whatever your reasons for removing a tree stump, whether it’s dead, attracting termites and other pests or simply needs to be removed to make room to build on, Dee Gees Bobcats has your stump removal services covered. 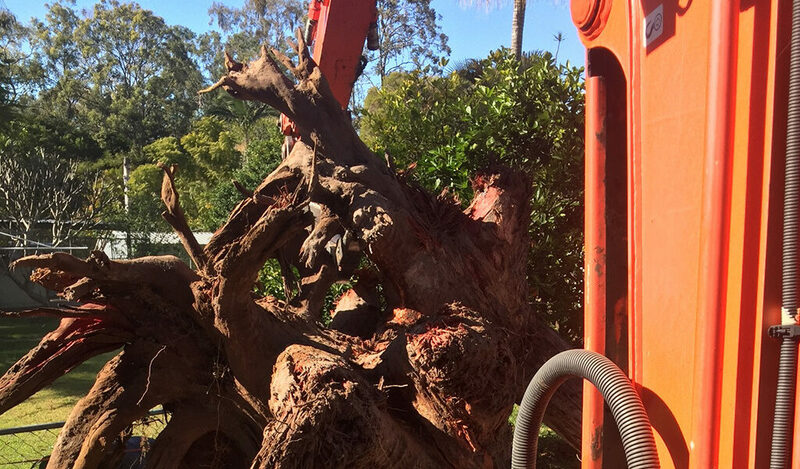 Whether it a single stump or a large site, choose the tree removal specialists, Brisbane and Ipswich customers trust. 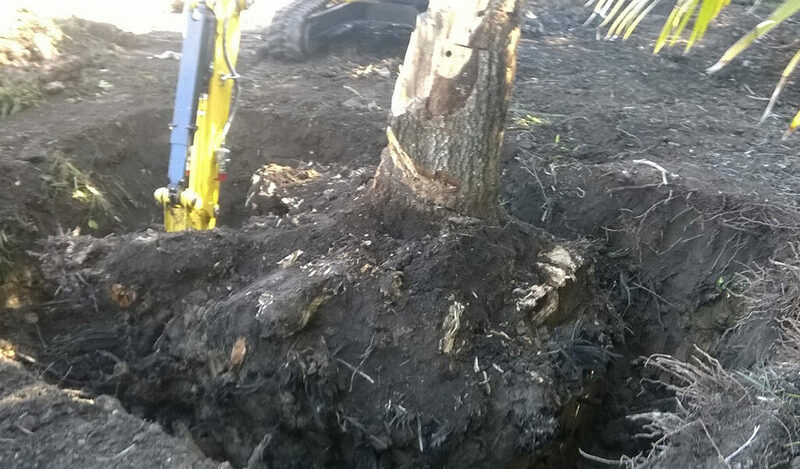 We’re experienced in removing a wide range of tree stumps and have invested in the quality machinery required to get the job done right, even in areas with limited or narrow access. Contact Dee Gees Bobcats on (07) 3375 5315 from 7:30 am to 5:30 pm Monday to Friday to have a chat about your needs and get a free stump removal quote.